Sassenhagen, J. & Draschkow, D. (2019). Clusterbased permutation tests of MEG/EEG data do not establish significance of effect latency or location. Psychophysiology. 2019; e13335. Lauer, T., Cornelissen, T. H. W., Draschkow, D., Willenbockel, V. & Võ, M. L.-H. (2018). 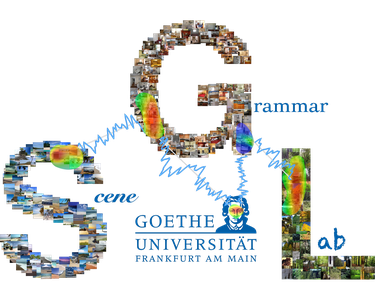 The role of scene summary statistics in object recognition. Scientific Reports, 8(1), 14666. Võ, M. L.-H., & Wolfe, J. M. (2015). The role of memory for visual search in scenes. Conrad, M., Võ, M. L.-H., Schneider, D., & Jacobs, A. M. (2011). Syllable structure is modulating the optimal viewing position in visual word recognition. Fonética, 31(1), 2-13. Hofmann, M. F., Kuchinke, L., Tamm, S., Võ, M. L.-H., & Jacobs, A. M. (2009). Affective processing within 1/10th of a second: High arousal is necessary for early facilitative processing of negative but not positive words. Cognitive, Affective, & Behavioral Neuroscience, 9(4), 389-397. Hutzler, F., Braun, M., Võ, M. L.-H., Engl, V., Hofmann, M., Dambacher, M., Leder, H., &, Jacobs, A. M. (2007). Welcome to the real world: validating fixation related brain potentials for ecologically valid settings. Brain Research, 1172, 124-129. Kuchinke, L., Võ, M. L.-H., Hofmann, M., & Jacobs, A. M. (2007). Pupillary responses during lexical decisions vary with word frequency but not emotional content. International Journal of Psychophysiology, 65(2), 132-140. Kuchinke, L., Jacobs, A. M., Grubich, C., Võ, M. L.-H., Conrad, M., & Herrmann, M. (2007). Incidental effects of emotional valence in single word processing. In: Herrmann, M. & Thiel, Ch. (Eds.) Topics in Advanced Neuroimaging. Oldenburg: bis-Publishers. pp. 31-34. Engl, V., Hutzler, F., Jacobs, A. M., Võ, M. L.-H., & Braun, M. (2006). Orthografie oder Orthographie? Lesen nach Rechtschreibreform - eine Blickbewegungsstudie [Reading after the orthography reform - an eye tracking study]. Zeitschrift für Psychologie, 214(2), 59-72. Kuchinke,, ., Jacobs, A. M., Grubich, C., Võ, M. L.-H., Conrad, M., & Herrmann, M. (2006). Modulation of PFC activation by emotional words in recognition memory. NeuroReport, 17(10), 1037-1041.